A quality senior care community provides older adults with the ability to enjoy the great outdoors and engage in meaningful activities. For people with arthritis, opportunities to move around are especially helpful, as light exercise can reduce both discomfort and stiffness, which, in turn, can improve physical health and mood. Here are some ways assisted living residents with arthritic conditions can stay in motion. Walking is an excellent way to improve circulation and support your joints. If you’ve been experiencing discomfort, start with a leisurely 10-minute stroll. Should the length of time be too much, try two sets of 5-minute walks. When you’re feeling well, increase the duration. Give yourself plenty of breaks when you’re feeling stiffer than usual. Take advantage of your senior care residence’s activities. If there is dancing on the schedule, make plans with friends to join in on the fun. Dance is a low-impact exercise, which means it won’t put too much strain on your joints. Ballroom dancing offers a nice moderate tempo. Some seniors already have a bicycle, while others can rent one in their community. Either way, you won’t put too much stress on your joints while enjoying the beauty of nature. The activity aids those with arthritis in the knees, as it strengthens leg muscles and lubricates the joints. Like walking, don’t be shy about breaking your ride into multiple sessions per day. 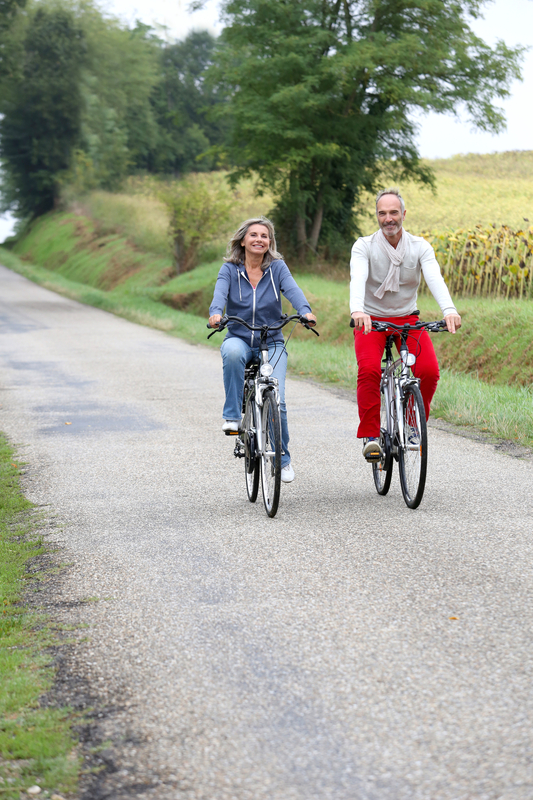 Stick to paved sidewalks, which will be more comfortable than riding in grass or dirt. Yoga is not only calming, but it is also slow and methodical. The easy, fluid movements are beneficial for people with rheumatoid arthritis. The combination of motion and relaxation reduces joint inflammation and encourages immune system health. You can get started by joining a class or purchasing videos. There are thousands of different stretches that can be done to keep your body limber. Hamstring, piriformis, and knee to chest stretches all loosen the hips, knees, and back. Breathe deeply, avoid bouncing, and gently hold your position for no more than 30 seconds at a time to prevent injury. If you are an older adult searching for a community that will support your quest for wellness, Longhorn Village of Travis County, TX, offers various senior living options. Whether you desire independent living or skilled nursing care, the beautiful ranch with a 5-star rating provides the services and amenities to make life easier and more enjoyable. For information about their unique brand of senior care, call (512) 266-5600. Learn more about their dining and wellness options by visiting their website or read resident reviews on their Facebook page.